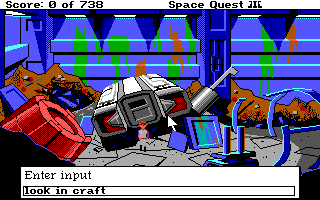 All SCI games are built of a number of resources. Each resource is a file containing part of your game. Whether it's a picture, animation, sound, font, cursor, script, or vocabulary file, they all work together to make a game. Resource files can be loose in the game's directory, or all packed into resource packages. Resource packages, similar to zip or rar files, can contain as many resources as you want. The advantage to these, is that if your game contains hundreds of resources, when you release it, it can be distributed with just one package. Generally, when you release your game, you should put all the files into a resource package. However, during development, you can decide whether you want to use packages or not. For most resources, they are handy to use during development, however, in the case of scripts, it's probably a better idea to keep them loose. This is because script resources are changed a lot, and continually adding them to the packages without rebuilding is likely to give you are very large resource file containing many outdated files. Scripts are the heart of your game. They contain the game's code which handles all the elements of game play. View resources are used for the animation, characters, props, icons, and general graphics in your game. All the background images in SCI games are made up of pic resources. These are vectored images with a width of 320 and height of 190 pixels. All the text you see in an SCI game is made up of font resources. Whether the text is on the menu, on the screen, or in a message box, it's all made up of font resources. Fonts can be edited with the font editor. These can be used in place of internal script text. Generally, you wouldn't use these. They are handy though, if you want an easily translateable game. In that case, you could use text resources for the text, and would only need to change them to make your game into another language. Each vocab has a different format and purpose. The script compiler generates most of them, so you won't need to touch them. Vocab.000, however, is contains the game's vocabulary. For example, if the player types "look", it checks this to see if the word is in the game's vocabulary. If it is, it checks what type of word it is (ie. noun, verb, etc.) and evaluates it. Sound resources contain the music and sound effects for your game. Though SCI Studio does not currently edit sounds, they can be easily created with Ravi Iyengar's SoundBox tool. You can simply import standard Windows MIDI files. All the resources together make up your finished game.